To get started, pour through Pinterest and gather all of the colors that really get your blood pumping. Create a board called "Color Inspiration" and pin anything and everything you find attractive. 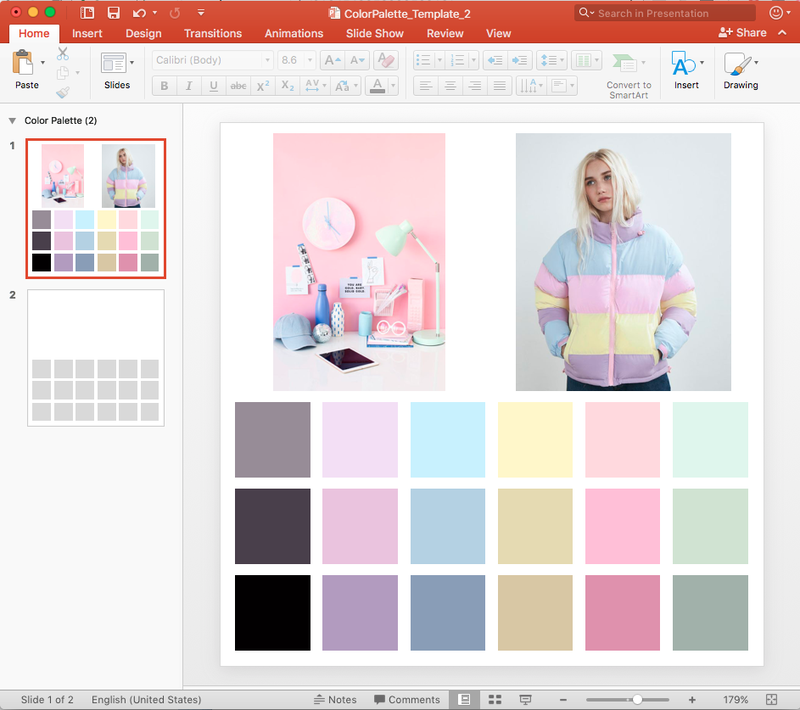 Search keywords such as Color Palettes, 2018 Color Trends, Color Schemes, Color Combinations, and Paint Colors. Research sites like Design Seeds for constant newness and Pantone for well-researched color trends. 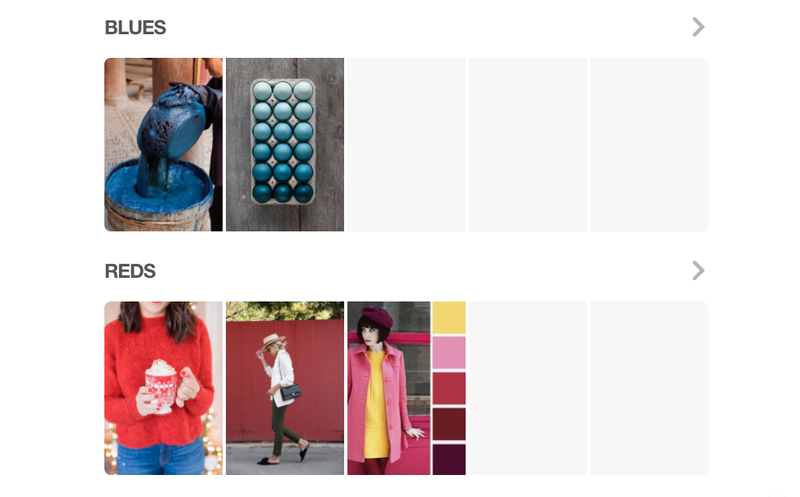 Use the Pinterest button to pin from these sites to your Color Inspiration board. It's impossible to really narrow down the color palette that is perfect for your brand without allowing yourself to play with color. 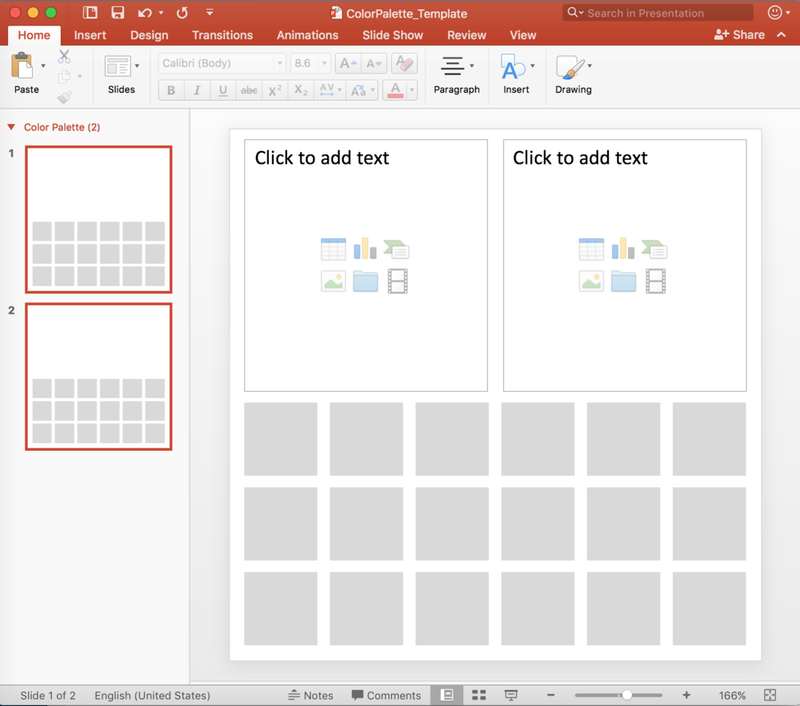 If you're not a designer, I recommend doing this in Powerpoint (or Google Slides). It's extremely easy! You can eye-drop custom colors from the inspirations you saved in just a few clicks. I've created a free template that you can download here. First, import your inspirations into the board. Then click on your first color chip. Click the Shape Format tab at the top. Click the arrow beside Shape Fill. Click on More Fill Colors. Click on the Eye-Dropper tool and hover over your inspiration images. The 6 colors across will be your core colors. I like to add color value to the palette as well - aka light, medium, and dark versions. You can usually find these versions within the inspiration by hovering over shadows or lighter areas. You can also simply use the Slider bar to adjust your color to be lighter or darker. And don't forget to include at least 3 neutrals. 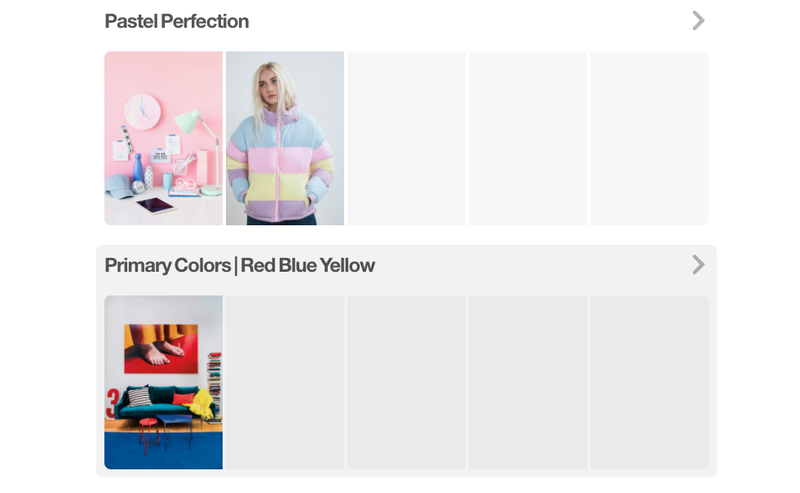 After you've played around with creating a few color palettes that feel good to you, apply it to your product, design, or brand. Let's say you are creating a logo. I would create a mock version of it in Powerpoint. Even if it doesn't look exactly the same, it will give you a good idea of the color relationships. I always choose the circle to start. Make sure to include your brand name and a few other design elements such as an outline. Next, copy and paste your color palette to the new slide. Now, you can scale down your color palette to the corner without distorting the proportions. Click on your shape > Eye-dropper tool. Click on a color in your palette. If you're not loving how the colors look together, go back and readjust some of your colors. Try another palette. If you're really in love with your palette, don't sweat it if you are having a hard time applying the color. My suggestion would be to seek out a designer and provide them with your color palette as a general guideline. The designer should be able to take the main idea and apply the colors in an awesome way you'll love. If you're interested in learning more about color, I highly recommend this book!